Starboard Hotels, one of the UK’s fastest growing independen hotel owner, operators and developers of franchised hotels, has announced the appointment of Graham Lewis as its first Commercial Director. Graham will oversee commercial activities across Starboard’s portfolio of 20 hotels which includes properties under IHG, Accor, Days Inn, and Best Western brands in addition to independent hotels in Windermere and Teignmouth. He will also head up the commercial team for the Hampton by Hilton hotel currently under construction by Starboard at London Park Royal, and a further new build hotel at Camborne, Cambridge West. 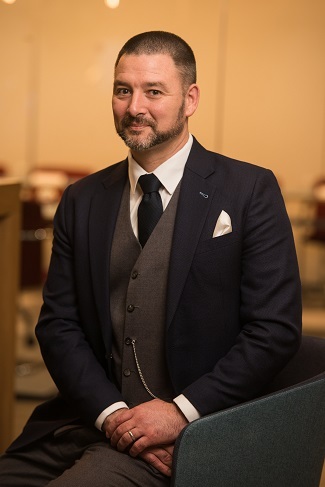 Based at Starboard’s head office in Beaconsfield, Graham joins the company after 22 years within the hospitality sector, 14 of those leading revenue management including overseas roles with IHG in Revenue Performance across Asia, Middle East and Africa and as Commercial Director for South East Asia and Korea.